On the picture in Kitzbühel: Esther Gons, NEXT.Amsterdam, Fabian Greiler and Berthold Baurek-Karlic from the Business Angel Institute and Timan Rebel, NEXT.Amsterdam. Photography by Tom Roschanek. The Business Angel Institute is launching it’s established training program for early stage investors in the Netherlands. The official announcement was released at this year’s Business Angel Summit in Kitzbühel together with our local partner NEXT.Amsterdam, one of Europe’s top accelerators. 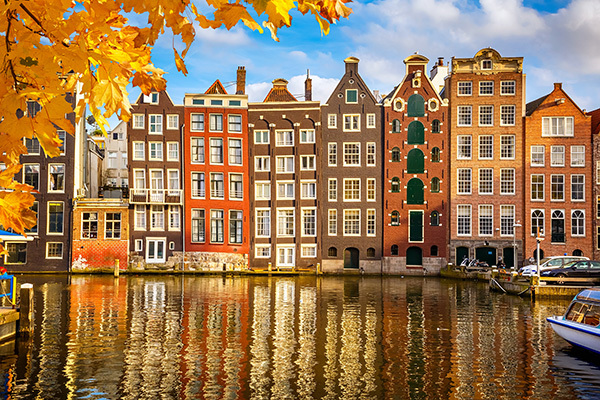 Amsterdam is one of Europe’s leading startup hubs. Thanks to Amsterdam’s international appeal, the Netherlands have grown the most in Europe due to startup migration, benefiting from a 31% net migration inflow. With relatively low burn rates and good access to capital and talent, Amsterdam has become an irresistible option for entrepreneurs on the search for a new location. NEXT.Amsterdam was founded by serial entrepreneurs Esther Gons and Timan Rebel, who not only provide hands-on support for their portfolio companies but also own a co-working space. Participants of our training programs will also profit from their vast experience in the corporate environment, which Esther recently published as a co-author in a new book. We will be launching the training program in Q3/Q4 this year in a more compact version. If you are interested, please give us a hint.